America has now recorded its first confirmed case of the deadly Ebola virus, brought to this country by a traveler who arrived unscreened from the African country of Liberia, a known Ebola hotspot. Thomas Eric Duncan traveled from Liberia, to Dulles International Airport outside of Washington, D.C. and then on to Dallas, Texas where he began to present symptoms of the deadly disease. 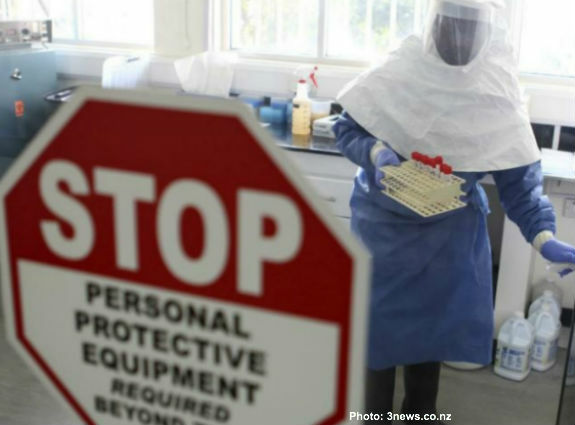 Liberia is one of the hotspots in a large outbreak of Ebola in West Africa, with 3,458 cases and 1,830 deaths as of September 23, according to the World Health Organization. Other countries affected include Guinea, Nigeria and Sierra Leone. In total, more than 3,000 people have died in those countries from Ebola, and more than 6,500 have contracted the disease, according to reporting by CNN. Astonishingly, when Mr. Duncan went to the emergency room in Dallas last week, he was released from the hospital even though he told staff he had traveled from Liberia. Now here’s the key point: Thomas Eric Duncan is a 42-year-old Liberian national, according to CNN. This is Duncan's first trip to the United States, where he was visiting family and friends. As a foreign national Mr. Duncan has no right to be in the United States, he’s here because we, or rather the Obama administration, let him into the country. A number of other countries, including other African nations, have closed their borders to Ebola hotspots like Liberia, but Duncan was allowed to enter the United States by President Barack Obama’s open borders policy. So now, through Obama’s open borders policy, not only has Mr. Duncan’s arrival exposed hundreds of Americans to Ebola, the good people of Dallas, Texas are now on the hook for his treatment as well. The media have also been awash in reports of a strange new viral infection that has swept schools coast to coast – a wave of illness that sickened hundreds of children, paralyzed at least 11 kids in Colorado, Michigan, Massachusetts and the San Francisco Bay area and now has killed at least four people, including a child in Rhode Island. Enterovirus D68 is not uncommon in Central America, but has suddenly been sending children in the United States to the hospital with severe respiratory illnesses. It seems to be most affecting children with a history of asthma or breathing problems. As of Wednesday, the Centers for Disease Control had confirmed 500 people in 42 states have respiratory illnesses caused by enterovirus D68. Oddly enough, the outbreak of the enterovirus D68 epidemic that has now killed at least four people and paralyzed at least 11 children (and counting) coincided with the arrival, and placement in American schools, of some 36,000+ illegal alien children – few of whom received any health screening and who were in fact mandated to be accepted without health screening by the Obama administration. As our friends at Judicial Watch observed, the administration has worked hard to keep information about the public health threat caused by the Obama open borders policy a secret, though some of it is slowly leaking out. And it is leaking out, we believe, in large measure because the Obama administration can no longer cover-up the body count, especially among children, that is the inevitable result of opening our borders and then intentionally dispersing public health threats throughout the country. Click the link to read the news release “Illegal Alien Minors Spreading TB, Dengue, Swine Flu” from Judicial Watch. Submitted by phillyfanatic on Thu, 10/02/2014 - 13:36. If we had a real American patriot and one who was competent, the first thing he would do is to recall all 3000 of our military to keep them from danger.Then he should close our N. and S. borders. Then he should stop all flights from Africa and the Middle East. We should keep our borders closed for a few years and that would stop Ebola cold and keep illegals and more health problems out of the USA.